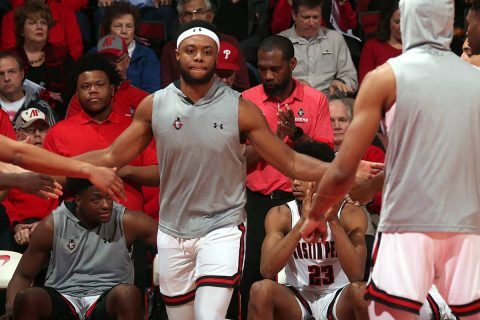 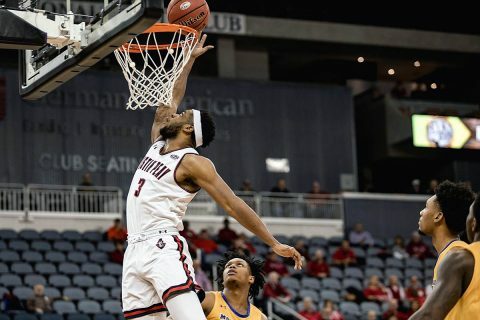 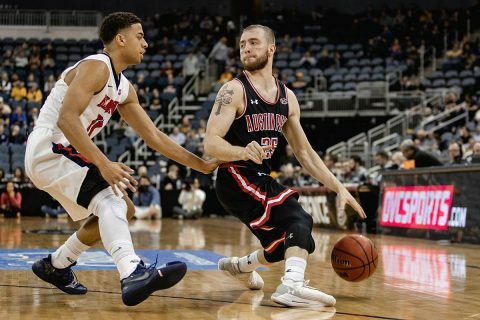 Basketball (Men) | Clarksville Sports Network - Clarksville Tennessee's most trusted source for sports, including Austin Peay State University. 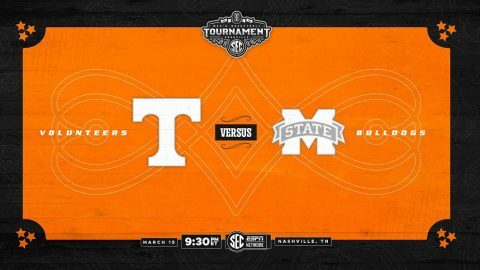 Auburn, AL – No. 5 Tennessee Vols dropped its regular-season finale Saturday against Auburn, 84-80, at Auburn Arena. The Vols (27-4, 15-3 SEC) fought hard and tried to claw back into the game, but the Tigers (22-9, 11-7 SEC) had an answer every time. The key stat to the game was Tennessee’s 13 turnovers that led to 19 points for Auburn. 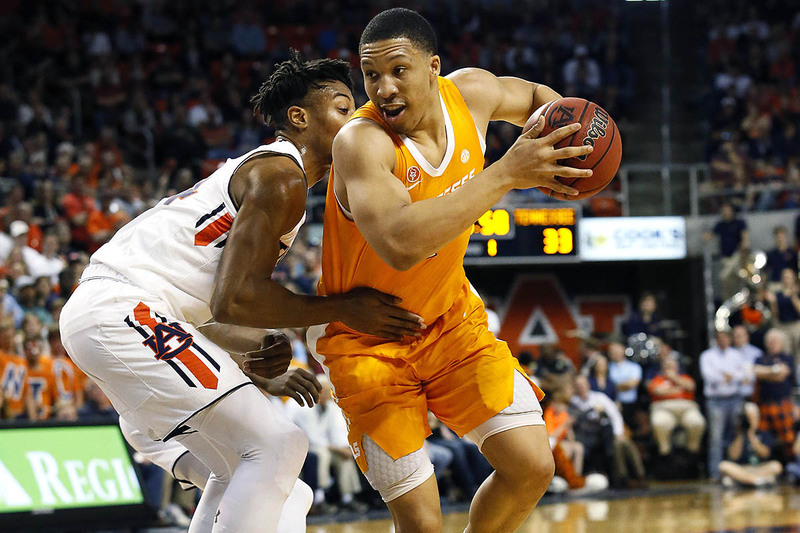 National Player of the Year candidate Grant Williams led all players with 25 points on 8-of-12 shooting to go along with nine rebounds, three assists and two blocks. 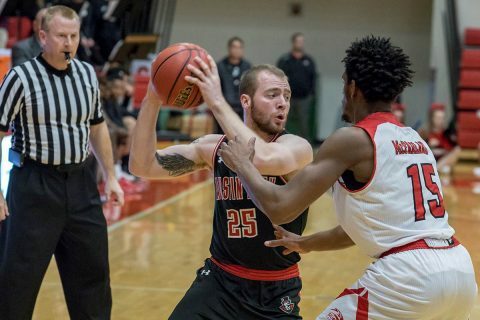 David Midlick and the women’s program open play 1 :00pm, Thursday, against fourth-seeded Tennessee Tech; as the fifth seed, it equals the Governors best seed during Midlick’s tenure as head coach. Knoxville, TN – No. 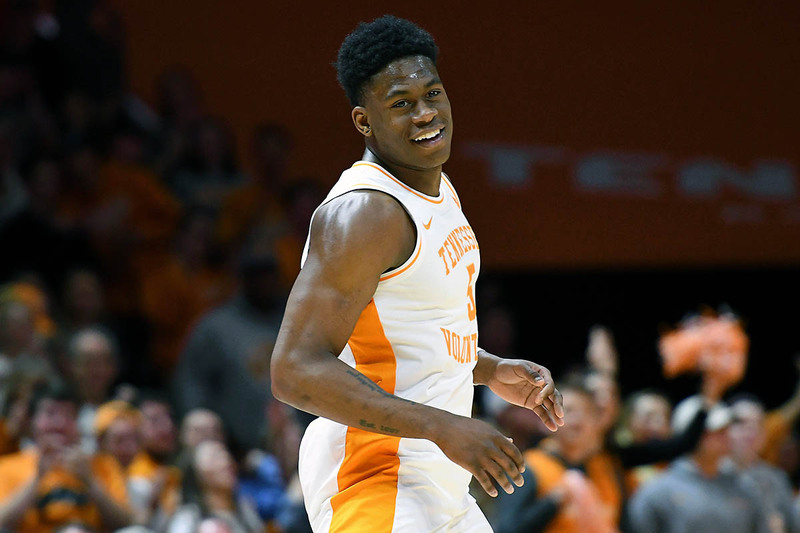 5 Tennessee Vols used a fast second-half start to power past Mississippi State on Senior Night at Thompson-Boling Arena, 71-54. 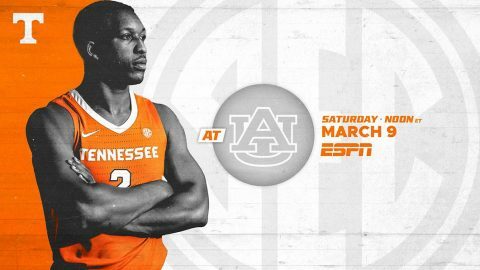 Heading into its final game of the regular season Saturday at Auburn, Tennessee remains in a tie atop the Southeastern Conference standings. Leading by six points at halftime, Tennessee (27-3, 15-2 SEC) used a 17-4 run to open the second half and create a comfortable, 19-point lead, capped by a Jalen Johnson 3-pointer from the left wing. 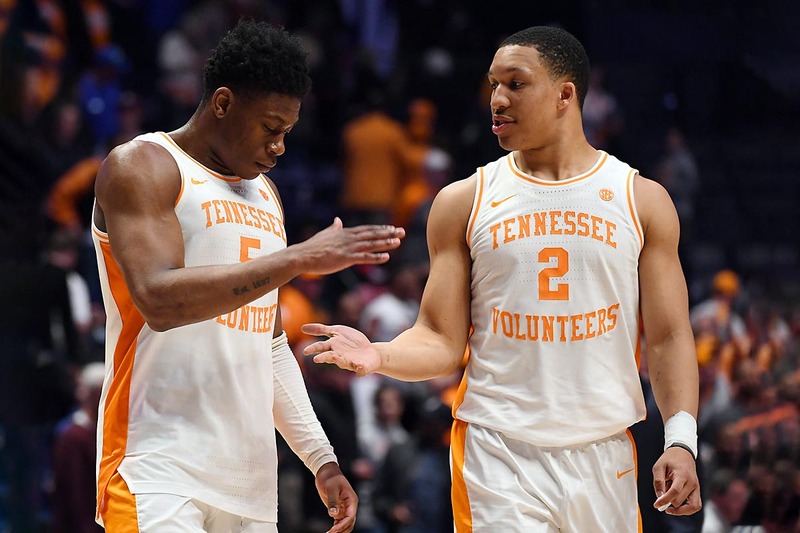 The Bulldogs (21-9, 9-8) never drew closer than 14 points after the Vols’ initial second-half burst, and Tennessee’s lead expanded to as many as 24 points.